The cake is composed of Butter, eggs, buttermilk, baking powder, white sugar and Vanilla extracts. Eggless cake is also available and for this you have to click on checkbox button. 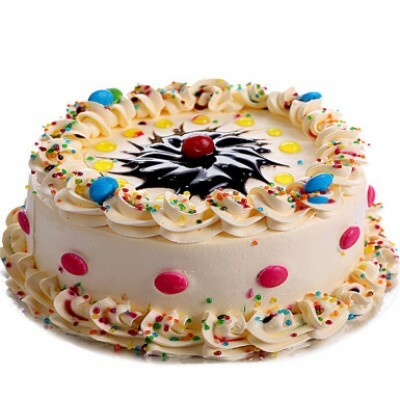 One can easily send a cake with online portals. Customisations are available. Extra charges will be charged for changes. The cake is suitable for Valentine’s Day, Chocolate Day, Propose Day, Weddings, anniversaries, birthday, baby shower, get together.